Hi, this is Dave, I’m hi-jacking ‘From the Backseat’ to talk about an issue we need to be carful about on the ground. 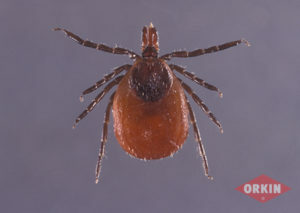 Ticks and Lyme. We spend a lot of time on the ground and ticks are going to be exceptionally abundant this year. Why? Because 2015 was a mast year for oak trees. Huh?! What do oak trees have to do with Lyme? Periodically oak trees product many times more acorns (up to ten times) than normal. And all trees in a region do it at the same time. We are not sure why this happens, but it results in a bounty for squerals and mice that feed on the acorns. This of course results in a baby boom of squerals and mice the following year. The oak trees return to their normal acorn production the forowwing year and this leads of a die off of squerals and mice. But we are concerned with that boom in the mouse population. Those same mice are the host of our dear friend the deer tick. There being a boom in the mouse population in turn generates a boom in the tick population. This being 2017 the boom in the 2016 mouse population has died off, but now the ticks are hungary and looking for blood, your blood. 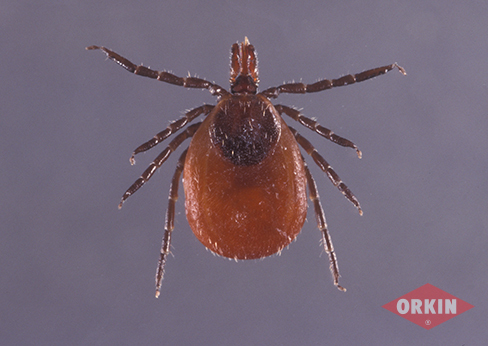 Lyme disease is caused by a bacteria transmitted by the tick. Remove the tick within twenty four hours and there is a good chance you will not be infected, maybe. You may have a bulls eye rash around the bite, or not. You might test positive to the Lyme blood test or not. It is difficult to diagnose, but suspected early it is ‘easy’ to treat. Symptoms can mimic the flu, headache, joint ache and fever or symptoms may not show up for months. For more information see the CDC’s page on Lyme. DEET is the active ingredient in most insect repellent and has been around since the 1940’s. Concentrations can vary from about 3% to 100%. Concentrations above 50% have no additional benefit. Howevere even at 50% DEET will lose it’s effectiveness after 4-5 hours. So during a long day of field duty you may need to re-apply. Pacaridin was developed in the 80’s last longer and has less of an oily feel. Choice is yours. Be sure and check for ticks when you get home. Treating your clothing with permethrin is also a great approach. One application and they are good for six or seven washings. (a lifetime for some PGC members.) Unfortunately the “PGC uniform” is shorts and t-shirt. That leaves lots of skin that still needs to be protected, so see above. If you are at the club after sundown and encounter North America’s only marsupial, the Opossum, give them some respect, in one year a ‘possum can eat up to 5000 ticks. And possums are naturally resistant to rabies. They may be ugly, but they have a job to do. I lost a couple of days while on vacation. No need for you to loose out on a week or two of flying.